This entry was posted on Wednesday, April 4th, 2012 at 11:47 am and is filed under Never Let Me Down: 1987. You can follow any responses to this entry through the RSS 2.0 feed. Both comments and pings are currently closed. I have to say I absolutely love this song! Saw the Ziggy tour when I was 15 and was a massive fan of everything up to Let’s Dance, every album seemed to capture the mood of the times in some way. Tonight disappointed big-time, with the exception of Loving the Alien, and by that time, as reflected by so many comments here, Prince seemed to be the 80’s zeitgeist genius. By the time of NLMD I’d moved to Spain and the music scene seemed irrelevant anyway. The album sounded really dense and messy, Carlos Alomar not working his magic or just mixed way down, the whole thing felt like a Bowie tribute band trying too hard. But I love Zeroes, the dippiness, the energy, chord changes, sitar and cosmic drone fade still does it for me. And I went to see the Glass Spider tour in Barcelona, with my Spanish wife, who was completely bemused by the whole thing. Too big, too much going on, no feeling, could have been Foreigner playing Bowie songs. Best moment for me was Sons of the Silent Age with Frampton, seemed to bring some magic back. For me, some of Buddha of Suburbia and Outside marked a return to some kind of form, and Heathen is maybe his best since Scary Monsters. Would be nice to think there would be some more, maybe a crespuscular jazz album Mr Bowie? Can’t tell you how much I’m enjoying this blog, the writing is superb and the images spot-on. It’s not doing much for my productivity though! Even though I would have to say that Time Will Crawl is probably more effective because of its (relative) simplicity and directness, Zeroes is probably not just my personal favorite from Never Let Me Down but probably one of my all-time favorite David Bowie “deep cuts”! From a mixing and arranging standpoint, I suppose you could say it’s a tad too much, but I still think it’s a wonderful psychedelic-era Beatles pastiche. One thing that occurred to me recently about this song is how much it reminds me (lyrically) of Quicksand and Sound And Vision. True, all three of those songs are very different, but in one way or another the lyrics serve as an acknowledgment of Bowie’s fear of an ailing muse, his notion that he has “nothing to say” or that he “ain’t got the power anymore”. With Zeroes, he acknowledges that his “little red Corvette has driven by” (his nod to Prince), but for the time being he seems accepting of the fact that it “doesn’t matter what you try to do”, that he’s not going to be working or operating in the same way or on the same level that he used to. Superb review and an interesting dissection of the key changes. It does feel a bit awkward at times, and overly busy, but a decent if over-reaching track. I am revaluating this album and it’s plusses thanks to this blog. Another excellent post. Like most of us I’ve long had a problem with NLMD. Gave it a few listens some years back to see if there were any hidden gems, and this is the stand out track for me. As you say, with George and Dennis this could have been so much better, but overproduction like this was expected in the late 80s. Still a lovely song. Two expat DB admirers in Catalonia following the Dame! The Camp Nou gig was piss poor, but Bowie still the Messi of pop. This was the one that I’d mime along too, deodorant can in hand as a stand in mic, as I pretended to take the stage at a mind-blowing concert. At 17 I was still secretly hoping to be a pop star. Now I appreciate I can’t sing, read music or play an instrument those dreams have faded … but not gone, it’s one I still swagger along to in private moments. Never strapped wings on my back though. For some reason I always thought Zeroes was a play on Heroes. Anyhoo…. Listened to it twice now but still can’t remember much from it. I suppose it’s not a BAD song but it just seems so cluttered, with no real melody. I’m a Beatlefan but I wouldn’t have found any Beatles references in there hadn’t I read about them here. It’s not exactly the sort of song that makes you pay attention to what it’s about and what are its intentions. But a great write-up, Chris – thanks! I think I agree with Maj’s assessment. It’s not a bad song and I like when it on, but it doesn’t stick very well. At least your review is a good as they usually are. Indecently, any particular reason George gets to be the photo guy for this post? 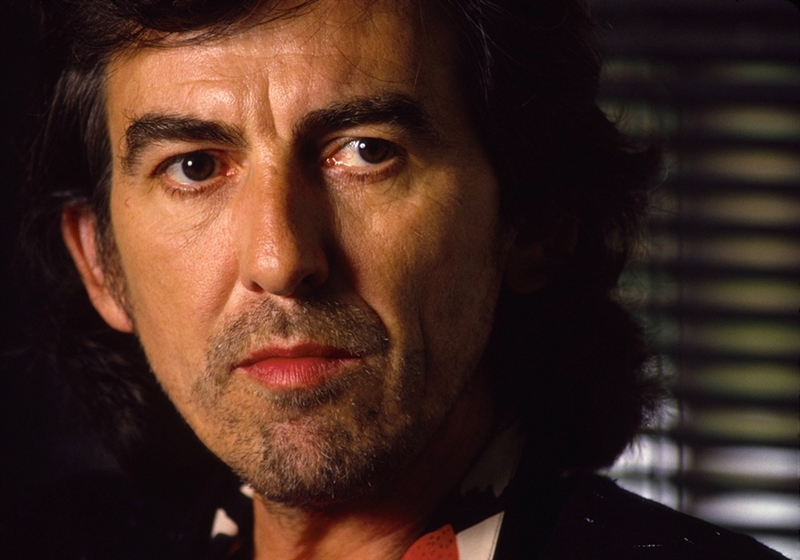 no real reason: George had a big 1987, so lots of shots of him from then (“Cloud Nine”). 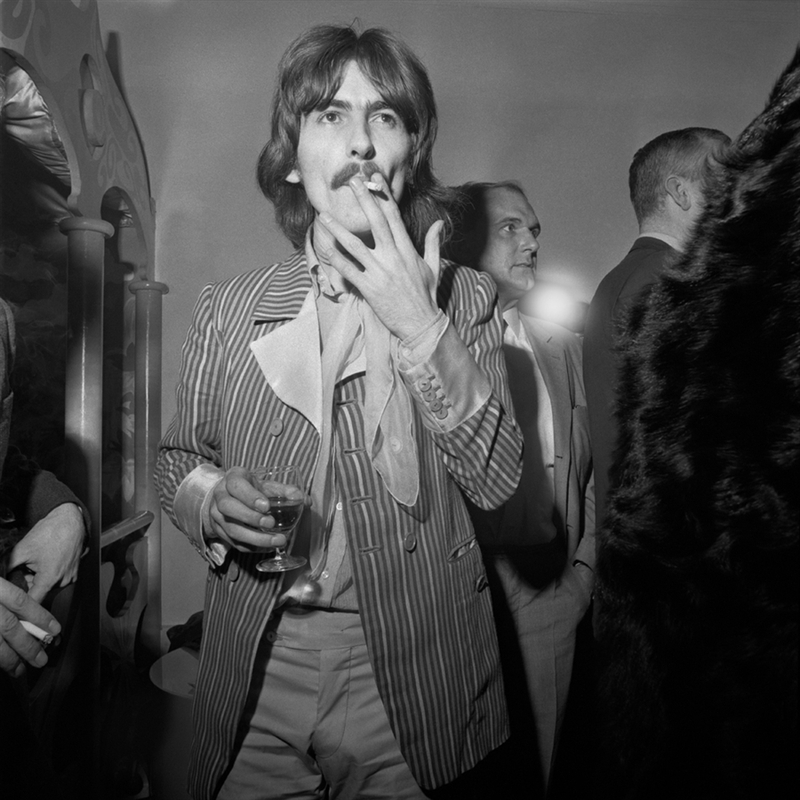 also Harrison actually visibly (and gracefully) aged, unlike the Dorian Gray McCartney of this and later eras. Prince finally makes it into a Bowie lyric and its no wonder he resigns and bows down 1987 was the year of sign of the times which could not be ignored. I got into prince at a serious moonlight gig 1999 was played in full before Bowie came on stage I think. As a song zeroes does touch many bases but is far too much of a pastiche and is not memorable enough…the coda of it does’nt matter is resignation and again I feel is wrongly placed it would have made a better closing track. Its ok nothing more. On the strength of this blog, I listened to Zeroes for the first time in over 20 years today. It isn’t terrible, I’ll say that. You know what, I love this song! It really connect with me. Still don’t like the drum sound so much but love the epic arrangement. Didn’t know know what it was about before so thanks…. I always thought this song was an a tribute to Japanese rock concert audiences … the electronic screeches in the beginning sounding like the frenzied Japanese fans who (at least in the 80s) seemed to go absolutely batshit when anything remotely resembling a Western rock band would start playing (Cheap Trick at Budukan, etc.) The Zeroes referencing the kamikaze war planes, of course, “the fabulous sons who crashed their planes in flames.” And the innocence of the japanese reception in general recalling the innocence of the first days of the Beatles. And so this was Bowie’s love letter to those fans, wherein he invented some fictional Japanese band playing for their adoring guileless fans. But who knows. The only part that works for me at all is the “Tomorrow Never Knows” dreamy bit near the end. I’m sorry. to be mean, but here goes. I hate the shiny reverb and the fake Casio sitar weaving its way throughout the entire song, killing it for me every time with its fakeness, and such weak phrases like “Something good is happening, I don’t know what it is” didn’t help to convince my listening pleasure. I could only surmise that the bulk of these lyrics came from various scraps of paper taped together in a random fashion by John Cage fast asleep. I wished there were a few choice Iggy phrases in there, because this tune could pass for a mistaken extension to Dancing with the Big Boys. The music itself maintains such a high pace from the start that the climactic end just sounds like more of the same, except made noisier, “It doesn’t matter” Bowie repeats in what could be dismissed as a long-lost over-the-top outtake from Aladdin Sane with a lame Beatles refrain. It doesn’t matter in the end, except for all of those “zeroes” added to the spectacular sales figures he gained for this insignificant album. In that case, all of those zeroes probably mattered quite a lot! If he had directly sung “If I Had a Million Dollars” at least he would have been straight forward and honest, and the song would have been convincingly sung. File Under: Not bad at all, but hopelessly over-egged. Those drums, ugh. 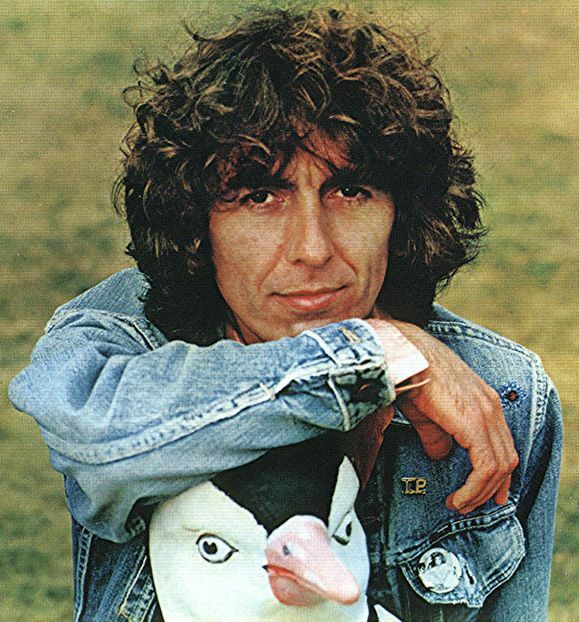 Perhaps Chris unconsciously peppered this post with a George Harrison photo album as the quiet one had his own cute 60s/Beatles homage out around the same time: “When We Was Fab”. Paul’s Beatles recapitulation didn’t come until “The Song We Were Singing” a decade later. Significantly, both backward looking songs feature Jeff Lynne and titular past tense passive verbs. Oh – and that middle minor third? Disappears as an interval by moving, contrariwise, to the same note. I adore this song. It’s impossible for to consider it a failure because I think it did exactly what Bowie set out to do. 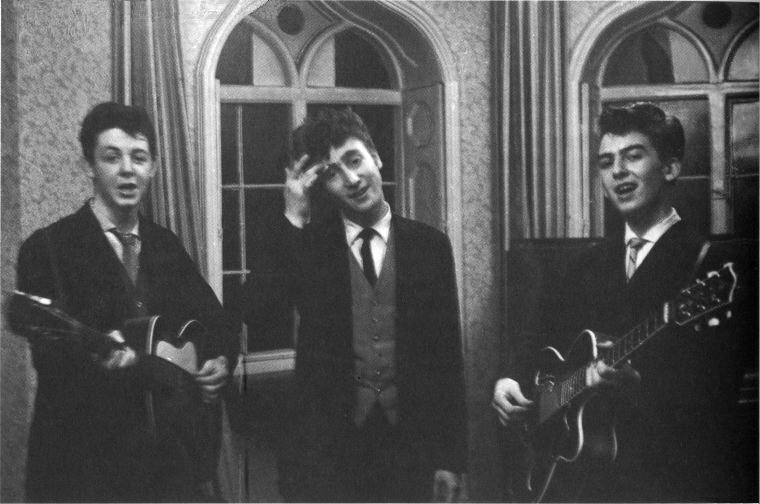 And for once during this period what he set out to do was musically and lyrically concrete. I haven’t read any posts from NLMD yet, but through it on the other day and damn, thought that it might be Bowies attempt at a power pop album. This album has made me realize something. People praise Bowie for “looking ahead” in the 70’s… but once he got to the era he was supposedly looking ahead at, he lost all credibility. Bizarre, right? Even more strange is how this album strikes me as a man hopelessly stuck in the past. If his music was so great back then, how can being retrospective be so bad? Perhaps Bowie was not so much a “visionary” as he was a man of impeccable taste (at the time, at least). As for this song… eh. I have a feeling “Zeroes” was the original title track of the album before NLMD was made at the last minute. I imagine Too bad that ended up being an even funnier album title.